- It seems like a long time ago in some ways, but not long at all in other ways, but Life Issues celebrated it’s 8-year anniversary on 2-3 @ our Super Bowl Party, there were about 25 people present and plenty of food and fellowship. - We took a man for a 21-day rehab on 2-7, and there seems to have been a breakthrough there for him as he was able to give his burden of resentment to the Lord; he is now back in church and coming to meetings! - We gave a box of food to a lady and her son on 2-7, who were in a local motel. - We helped a man purchase some work clothes on 2-8, after he got out of jail. - One of our leaders helped a former student and his wife move on 2-9. - One of our leaders and I did an in-home visit with one of our graduates who has bone cancer. Right now, the cancer is in remission, but the treatment has taken a toll on his health and he isn’t able to work right now. Please pray for this man and his family, for the Lord to provide for his need. - Another leader and I visited Community Linc in downtown KC on 2-27, it is a 30-year-old organization with the goal of eliminating homelessness in Kansas City. We went there to see how they run things and to determine if we can send folks there for help; we really appreciated the 2-hour presentation and tour and hope to keep in contact with them to see how we can partner in the future. - A couple of us went to one of our student’s graduation at the Salvation Army on 2-27, and we were thrilled to see this man’s daughter present as well. This program took 6 months to complete and we’re very proud of him and are excited that he will be moving into the Joshua House (the Stovall’s and myself were present). - We had a couple of meeting cancellations in February due to weather conditions and had to cut one meeting short due to bad weather, this continues to be a hard winter! - We visited a lady in Cass County Jail recently and are in communication with her mother, to help determine a home plan for her, it looks like she may get into Healing House in March. - Although we had 2 folks graduate from our program last month, we’ve got a good crop of folks coming along and working our program! There’s 5 folks going through The Journey Home program, 6 in HBF’s D1 material, 3 in D2, and 2 of our leaders are in HBI, so I’m excited of how the Lord is using us to fulfill his great commission! - On February 17th we helped a man with some gas money and paid for a month of minutes and data on his phone, to give him a vote of confidence that he wants to change. Although I know that I mostly share the good things that happen in Life Issues, I thought it necessary to share some negative things as well, to help us all understand the illogical actions and consequences of drugs and alcohol. This man got drunk a couple of weeks later and spoke of taking his life but ended up getting nearly home one night after talking to his sponsor, myself, and family members, but then drove off in a field and was found by the police under a tree in the snow. Anyway, it was sub-freezing temps and he’s fortunate to be alive, but he resisted arrest and is now in custody. I’m thankful for our law enforcement officers and I know that this man’s story is not over yet, but it grieves me to care about these folks while feeling so powerless to help them. Please pray for this man and for the next chapter in his life’s story to have a better outcome! 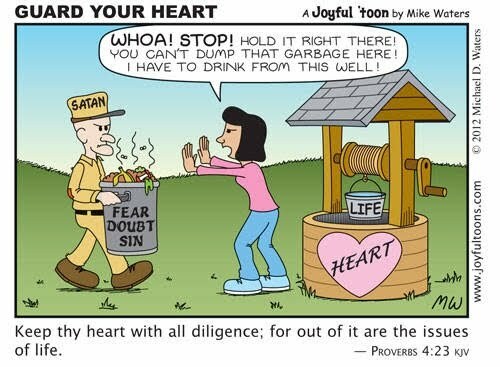 - I attended Mission Focus a couple of evenings and a morning session in early January, and re-united with a recovery group leader from Ohio for a little bit, and he sent me some helpful literature. - A community partner of ours, in Clinton Missouri, joined me in helping a needy couple by donating some furniture to them in early January, and this couple have begin attending our sister church in Clinton, New Life Baptist church. - Life Issues is working with Foster Care to help a family, by offering our program to a married couple who are trying to get their son back. They are attending meetings and going through our recovery program as part of a court ordered path, so we’re excited to be able to help restore a family! - We stopped by the probation / parole office on 1-9 to drop off some of our literature for the officers and for them to distribute to a couple of judges; we’re thankful to have a good relationship with law enforcement in our community, hallelujah! - We began helping a lady inmate (who wrote to us for help in December) on 1-10 with an application to Lily’s House (LH). She has now been accepted into the LH, but was transferred to a Kansas jail, due to an offense there, but hopes to be released any day and taken to LH! - One of our men students finished TJH program on 1-15 and one of our lady students finished our D1 program on 1-22, we’re excited and thankful for both of their accomplishments! - The two men at Salvation Army phased up to level # 5 (final phase) on 1-16! - We worked with the Public Defender’s Office to transport a lady from Cass County Jail to Healing House (downtown KC) on 1-18. - We had 18 people present at our annual Life Issues leadership meeting on 1-19. It was a great meeting with fresh ideas and good food and good fellowship! - Life Issues helped distribute excess food from Sonic on 1-25, the Cass County Rescue Mission was able to use most of it and we cooked up the rest for our folks. - Life Issues provided 2 nights emergency housing for a homeless man on 1-26 & 1-27, as well as helped him get his phone turned back on. This same young man made a decision to begin a relationship with Jesus Christ and follow him, and the following week was accepted into Joshua House! - We had another young man show up at the end of our meeting on 2-1 and was heavy hearted and downcast by the world, he stayed around and also made a decision to begin a relationship with Christ! - We had a couple of good testimonies given at the end of January, stories of deliverance and victory. The parents of one of the men came to our meeting and were refreshed to hear of their prodigal son’s confessions and journey home! 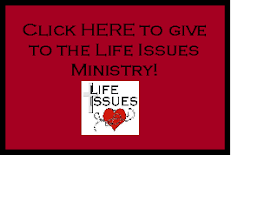 - Life Issues has had a new opportunity come to us in the last 2 months, because 3 different ministry leaders from 3 different parts of the United States have contacted me requesting counsel on how to start a recovery group in their church. After talking with these men on the phone and formalizing some of our documents and policies, I mailed a Life Issues start up kit to each of them on 2-2; one to a jail minister in Mississippi, one to a school teacher in Iowa, and one to senior pastor in Colorado! I don’t know if any of these men will use any of our materials or not, but we are trying to make Life Issues a reproducible program and each of these men seemed sincere in their desire to reach the addicted in their communities and churches, so please pray with me for this effort to bless others.